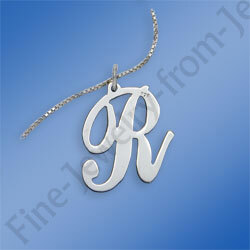 New Personalize this beautiful stylish Initial. Beautiful new contemporary script. You choose: Any initial and chain length.